These universal waveform generators combine many generators in one instrument. Their extensive signal simulation capabilities include arbitrary waveforms, function generator, pulse/pulse train generator, sweep generator, trigger generator, tone generator, and amplitude modulation source. The 281, 282, and 284 Waveform Generators use Direct Digital Synthesis techniques as well as variable clock sampling technology to provide a fully featured programmable function and arbitrary waveform capability. The 281, 282 and 284 are 40 MS/s arbitrary waveforom generators with one, two, and four channels, respectively. Waveform Manager Plus Software provides all the features needed for creation, manipulation and management of arbitrary waveforms within a single Windows-based program. The 28x series comprises a single channel model (281), two channel (282) and 4 channel (284). Each channel can be operated fully independently, or multiple channels can be linked using simple or complex relationships. Standard waveforms include: sine, square, triangle, dc, positive ramp, negative ramp, sine(x)/x, pulse, pulse train, cosine, haversine and havercosine. Output frequency range is 0.1 mHz to 16 MHz for sine and square and up to 100 kHz for triangle, ramps and sine(x)/x. Rise time for pulse is < 25 ns with a period range of 100 ns to 100 s. Output amplitude range can be adjusted from 2.5 mV to 10 V pk-pk into 50 Ω. Each channel can generate not just pulses but complex pulse trains. A pattern of up to 10 pulses can be quickly defined with each pulse having its own amplitude, width and delay. The whole pulse train pattern can then be replayed at a user defined repetition rate. Where variable rise time pulses are required, the full arbitrary function can be used. The 280 series are highly sophisticated 12-bit arbitrary generators capable of recreating virtually any waveform. True variable clock architecture is used with clock speeds between 0.1Hz and 40 MHz. This architecture avoids the clock jitter associated with DDS arbitrary generators and permits waveform linking, looping and sequencing. Waveforms may be defined with up to 4096 vertical points and from 4 to 65,536 horizontal points. Arbitrary waveforms may be replayed at a specified waveform frequency, period or sample rate. Up to 100 user-defined waveforms can be stored within the instrument’s 256K of nonvolatile memory. Up to sixteen arbitrary waveforms may be linked in a sequence. Each waveform can have a loop count of up to 32,768 and the whole sequence can be run continuously or repeated more than a million times. For multi-channel models, waveforms on different channels can be ‘daisy chained’ and looped. By summing the channel outputs, up to 64 segments can be used to create highly complex waveforms. Any number of channels can be phase locked with offsets defined to a resolution of 0.1 degree (or 360 degrees/waveform points for arbitrary waveforms). For applications requiring more than four channels, multiple generators can be phase locked. The 280 series also has the facility for phase locking to another generator. Waveform Summing sums the waveform from any channel into the next channel. Alternatively any number of channels can be summed with an external signal. This permits complex modulations to be created such as noise superimposition. Because any channel can be triggered by the previous or next channel, waveforms on different channels can be ‘daisy chained’ and looped. By summing the channel outputs, up to 64 segments can be used (32 segments for 282). A channel can be used to AM modulate or SCM modulate another channel. All waveforms can be swept over their full frequency range at a rate variable between 30 milliseconds and 15 minutes. Sweep can be linear or logarithmic, single or continuous. Single sweeps can be triggered from the front panel, the trigger input, or the digital interfaces. Multiple channels can be swept simultaneously. Amplitude Modulation and Suppressed Carrier Modulation are available for all waveforms. Any channel can be used to modulate another channel. Alternatively all channels can be modulated simultaneously via the modulation input. All waveforms are available as a triggered burst whereby each trigger edge will produce one burst of the carrier. Start and stop phase is fully variable. Both Triggered and Gated modes can be operated from the internal trigger generator, from an adjacent channel, an external source or a key press or remote command. The trigger generator signal is available as a separate output if required. The 280 series can provide triggered switching between up to 16 frequencies of standard or arbitrary waveforms. Tone switching modes can be gated, triggered or FSK using any trigger source. By summing two channels together it is possible to generate precise DTMF test signals. Each generator is supplied complete with sophisticated Windows based software for the creation, editing and management of waveforms. This powerful software can be used to create arbitrary waveforms from scratch using drawing tools, equations or both together. Real-world waveforms imported from DSOs or other sources can be modified and combined with other waveforms using editing functions. A library of ‘standard’ waveforms is included which can be used as ‘elements’ when creating or modifying waveforms. A powerful Equation Editor provides an array of mathematical functions including logarithmic and geometric operands. Waveform creation and editing can make use of drawing tools in combination with equations, insertion and manipulation. Multiple waveforms can be further combined using mathematical operators to create new waveforms. The Windows software incorporates direct support for uploading waveforms from Tektronix digital oscilloscopes. A driver for LabWindows CVI from National Instruments is available which enables imports from other equipment to be achieved within the LabWindows environment. via RS-232 or GPIB The 280 series incorporates both an RS-232 interface and a GPIB (IEEE-488) interface as standard. 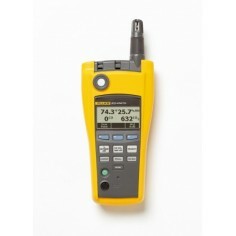 These can be used for loading arbitrary waveforms and for remote control of all instrument functions. Specifications apply at 18-28 ºC after 30 minutes warm-up, at maximum output into 50 Ω. Maximum waveform size is 65,536 points; minimum waveform size is 4 points. Up to 100 user defined waveforms may be stored in the 256 K point nonvolatile RAM. Waveforms can be defined by front panel editing controls or by downloading of waveform data via RS-232 or GPIB. Up to 16 waveforms may be linked. Each waveform can have a loop count of up to 32,768. A sequence of waveforms can be looped up to 1,048,575 times or run continuously. Note: The pulse width and absolute value of the delay may not exceed the pulse period at any time. Repetition rate is set by the pulse train period. 40 Msamples/s for ARB and Sequence. 1 MHz or the maximum for the selected waveform. Internal from keyboard, previous channel, next channel or trigger generator. External from TRIG IN or remote interface. Frequency sweep capability is provided for both standard and arbitrary waveforms. Arbitrary waveforms are expanded or condensed to exactly 4096 points and DDS techniques are used to perform the sweep. From 1 mHz to 16 MHz in one range. Phase continuous. Independent setting of the start and stop frequency. The sweep may be free run or triggered from the following sources: Manually from keyboard. Externally from TRIG IN input or remote interface. Any number of channels may be swept simultaneously but the sweep parameters will be the same for all channels. Amplitude, Offset and Waveform can be set independently for each channel. Capability provided for both standard and arbitrary waveforms. Arbitrary waveforms are expanded or condensed to exactly 4096 points and DDS techniques are used to allow instantaneous frequency switching. 0.005 Hz to 100 kHz internal. DC to 1 MHz external. Usable repetition rate and waveform frequency depend on the tone switching mode. The tone is output while the trigger signal is true and stopped, at the end of the current waveform cycle, while the trigger signal is false. The next tone is output when the trigger signal is true again. The tone is output when the trigger signal goes true and the next tone is output, at the end of the current waveform cycle, when the trigger signal goes true again. The tone is output when the trigger signal goes true and the next tone is output, immediately, when the trigger signal goes true again. Using 2 channels with their outputs summed together it is possible to generate DTMF test signals. Internal source 0.005 Hz to 100 kHz square wave adjustable in 10 us steps. 3-digit resolution. Available for external use from any SYNCOUT socket. 5 mV to 20 Vpp open circuit (2.5 mV to 10 Vpp into 50 Ω). Amplitude can be specified open circuit (hi Z) or into an assumed load of 50 Ω or 600 Ω Vpkpk, Vrms or dBm. Produces a pulse coincident with the last cycle of a burst. Produces a pulse coincident with the end of a waveform sequence. Selects the current trigger signal. Useful for synchronizing burst or gated signals. Outputs a pulse at the start of sweep to synchronize an oscilloscope or recorder. Used to phase lock two generators. Produces a positive edge at the 0 ° phase point. TTL/CMOS logic levels from typically 50 Ω.
Adjustable output pulse for use as a marker in sweep mode or as a cursor in arbitrary waveform editing mode. 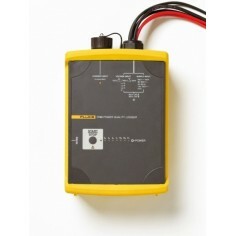 Can be used to modulate the Z axis of an oscilloscope or be displayed on a second ‘scope channel. Output Signal Level: Adjustable from nominally 2 V to 14 V, normal or inverted; adjustable width as a cursor. Holds an arbitrary waveform at its current position. A TTL low level or switch closure causes the waveform to stop at the current position and wait until a TTL high level or switch opening which allows the waveform to continue. The front panel MAN HOLD key or remote command may also be used to control the Hold function. While held the front panel MAN TRIG key or remote command may be used to return the waveform to the start. The Hold input may be enabled independently for each channel. Input for an external 10 MHz reference clock. TTL/CMOS threshold level. Used together with SYNC OUT on a master and TRIG IN on a slave to synchronise (phase lock) two separate generators. The waveform from any channel may be used to Amplitude Modulate (AM) or Suppressed Carrier Modulate (SCM) the next channel. Alternatively any number of channels may be Modulated (AM or SCM) with the signal at the MODULATION input socket. Internal from the previous channel. External from Modulation input socket. The external modulation signal may be applied to any number of channels simultaneously. 0 % to 105 %. Waveform Summing sums the waveform from any channel into the next channel. Alternatively any number of channels may be summed with the signal at the SUM input socket. Internal from the previous channel. External from SUM IN socket. Two or more channels may be phase locked together. Each locked channel may be assigned a phase angle relative to the other locked channels. Arbitrary waveforms and waveform sequences may be phase locked but certain constraints apply to waveform lengths and clock frequency ratios. With one channel assigned as the Master and other channels as Slaves a frequency change on the master will be repeated on each slave thus allowing multiphase waveforms at the same frequency to be easily generated. DDS waveforms are those with 7 digits of frequency setting resolution, while Non-DDS waveforms have 4 digits. The signals from the REF IN/OUT socket and the SYNC OUT socket can be used to phase lock two instruments where more than 4 channels are required. Any channel can be triggered by the previous or next channel. The previous/next connections can be used to ‘daisy chain’ a trigger signal from a ‘start’ channel, through a number of channels in the ‘chain’ to an ‘end’ channel. Each channel receives the trigger out signal from the previous (or next) channel, and drives its selected trigger out to the next (or previous) channel. The ‘end’ channel trigger out can be set up to drive the ‘start’ channel, closing the loop. In this way, complex and versatile interchannel trigger schemes may be set up. Each channel can have its trigger out and its output waveform set up independently. Trigger out may be selected from Waveform End, Position Markers, Sequence Sync or Burst Done. Using the scheme above it is possible to create a sequence of up to 64 waveform segments, each channel producing up to 16 segments and all channels being summed to produce the complete waveform at the output of channel 4. Up to 9 complete instrument setups may be stored and recalled from battery-backed memory. Up to 100 arbitrary waveforms can also be stored independent of the instrument settings. 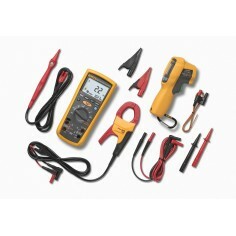 230 V, 115 V or 100 V nominal 50/60 Hz, adjustable internally; operating range ± 14 % of nominal;100 VA max. for 4 channels, 75 VA max. for 2 channel, 40 VA max. for 1 channel. Installation Category II.